Computer forensics is the application of investigation and analysis techniques to collect and preserve evidences from a specific computing device in a way that is suitable for presentation in a court of law. 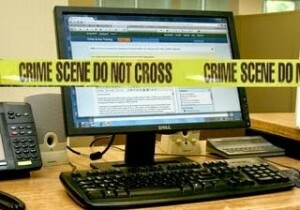 The goal of computer forensics investigator is to perform a structured investigation while maintaining a chain of evidence in documented form to find out exactly what happened on a device and who was responsible for it. Forensics Investigation can be performed on several digital equipments if they are used for the commission of the crime. Generally criminals are doing crime related to the web and they are using internet for their threaten activities. Criminals are doing crime for their financial benefits. They perform the malicious activities through the web browsers and target the system or the network. After the commission of the crime investigation needs to be performed and Professional Forensic Investigator performs the investigation with set of rules and laws. Forensics investigator first securing the place and then photographing the place at the Crime scene and then use their tools and techniques to investigate the case. Investigation performed by checklists to collect evidences and finally forms the document which is suitable for the courts. As a proof Investigator takes the snapshot of each and every evidence and maintain the files from beginning to end such that it becomes easy to evaluate the case. Cyber or Digital Forensic is the very large domain to digg inside and not one expert knows all the forensic branches and investigation methods. Experts are varied from areas to areas. There are several branches of the Digital forensics. Expert in any area possess the core and advanced knowledge of that field. You can have expertise in any of the above and have better carrier options.